Some people think it takes courage to post a no-makeup selfie online. People are so used to seeing perfectly airbrushed images that a totally natural, stripped down self-portrait is seen as a brave thing to do. These women might be brave, but not for sharing a no-makeup selfie. These ladies are all drop dead gorgeous, so whether they’re wearing makeup or not, they’re still going to look like the physical embodiment of perfection. Keep reading to see what your favorite stars look like completely barefaced. If you’ve ever looked at Gal Gadot and thought, there’s no way she can be that beautiful, and that cool, and that lovely, well, you’d be wrong. 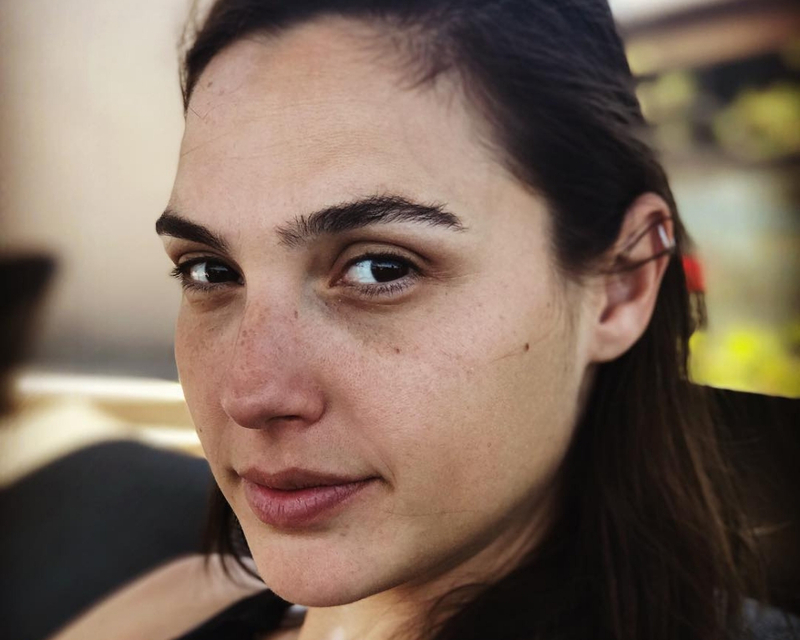 This is what Gal Gadot looks like without makeup. I know, the world isn’t fair. We all wish we could be this flawless. Seriously Gal, could you tone it down just a little bit? Could you be just a little bit perfect? No wonder she was picked to play Wonder Woman. Drew Barrymore has lived most of her life in the public eye. Growing up in Hollywood comes with a lot of pressures. Women are expected to look perfect at all times. If a celebrity is caught by the paparazzi not wearing any makeup or wearing clothes that don’t fit right, it’s something that ends up all over the internet. 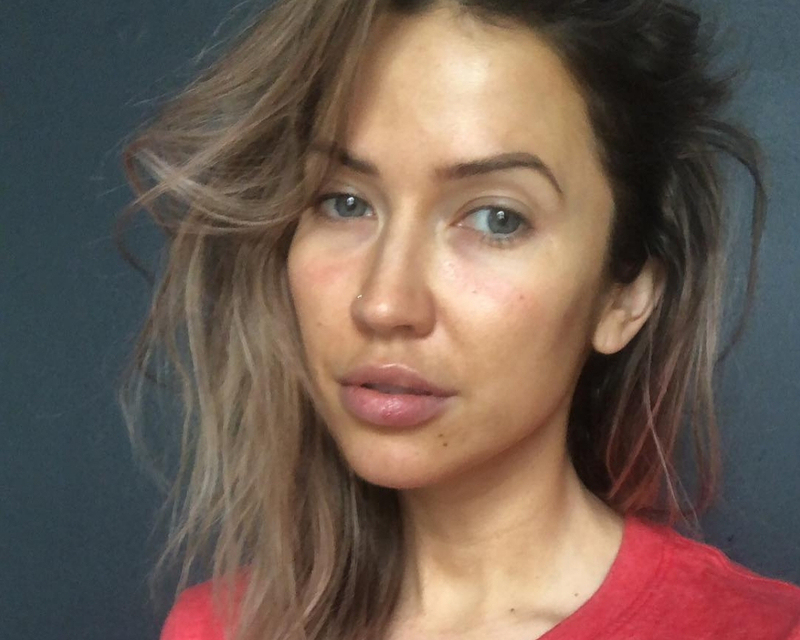 Drew has taken control of her own image and posted her own gorgeous no makeup selfie. 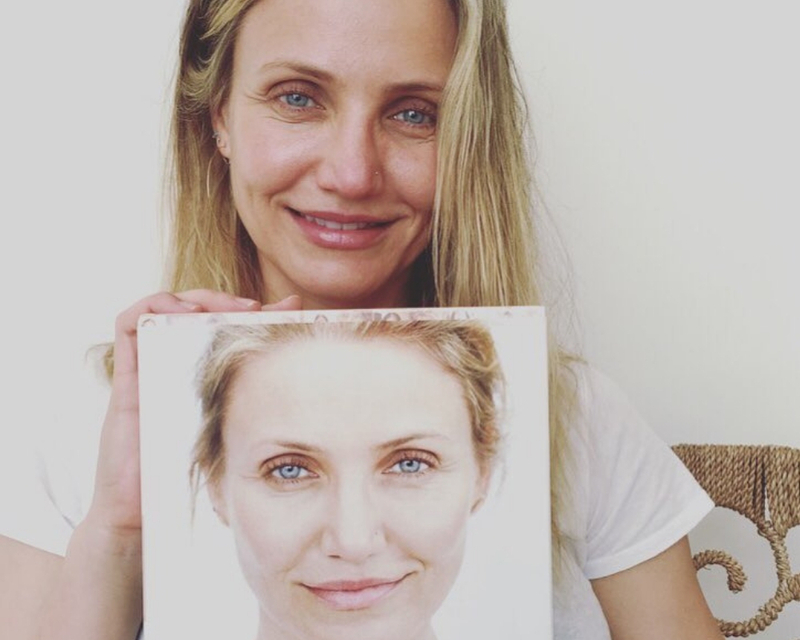 Cameron Diaz is definitely a natural beauty. We usually see her with a full face of makeup, but it’s nice to see this more stripped down version of her. Cameron Diaz recently published a book called The Longevity Book which is a personal, practical, and authoritative guide that examines the art and science of growing older. It gives women concrete steps that they can take to be healthy, happy and strong at any age. Heidi Klum posts a whole bunch of no makeup selfies on her Instagram page. She regularly posts videos of her makeup team getting her all glammed up, starting from no makeup to a full face of foundation, highlighter, eyeshadow, and blush. Heidi is gorgeous with and without makeup, and I love that she uses social media to share realistic images of herself. Heidi has always been an ambassador for all kinds of beauty. Mindy Kaling is not a woman who pulls any punches. 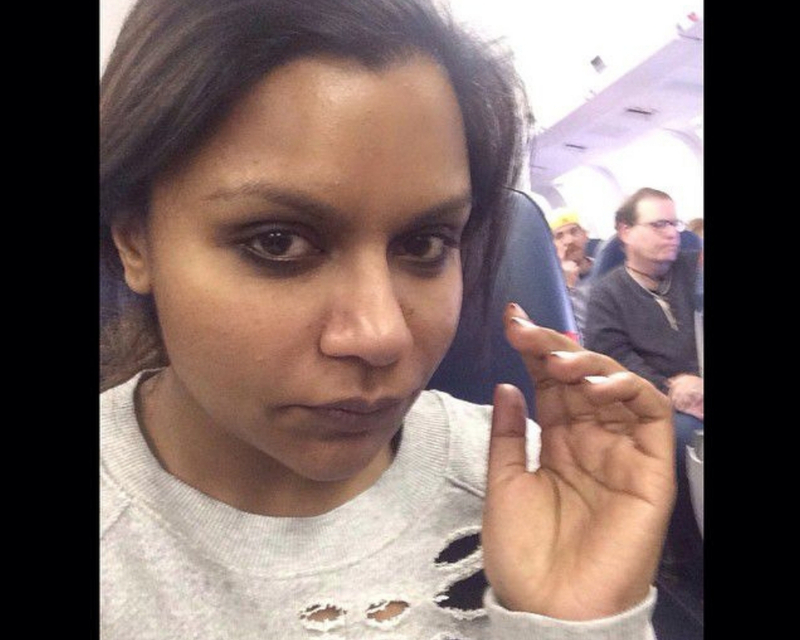 She shared this photo of herself on a plane in the early morning without any makeup on looking super tired. This is what a busy boss woman looks like, people. Sometimes you’re too busy being awesome to put on concealer and eyebrow powder. That’s totally cool. Mindy still looks gorgeous, as she always does. I actually kind of like her ripped up sweater. Gwyneth Paltrow is a woman who’s all about being free and natural. Her company, Goop, regularly promotes products that are all about women embracing their natural beauty. Those products are often very expensive, but if you can afford that kind of thing, why not indulge? Gwyneth looks absolutely beautiful in this photo, as she always does. Not many women can pull off a pale eyebrow, but Gwyneth does it flawlessly. She looks like a literal angel. Swimming is a nice outdoor activity, but if you wear makeup in a swimming pool you’re going to get out of that pool with huge mascara streaks all down your face. That’s just a fact of life. I don’t care how waterproof your mascara says it is. 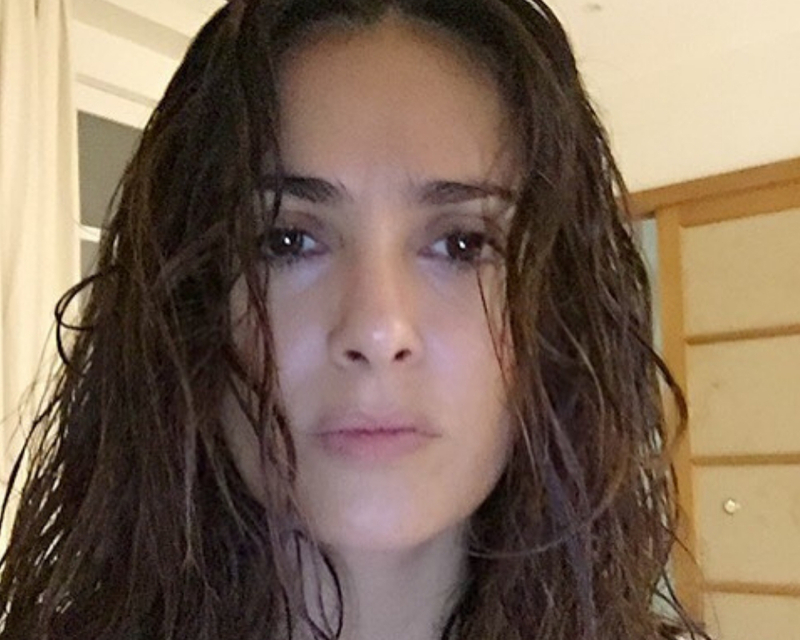 Salma Hayek decided to get into this swimming pool without any makeup on, and you know what? She still looks like a rockstar. Kelly Clarkson kind of stumbled into fame after appearing on (and winning) the first season of American Idol. Before that fateful audition, Kelly wasn’t used to being followed around by paparazzi. 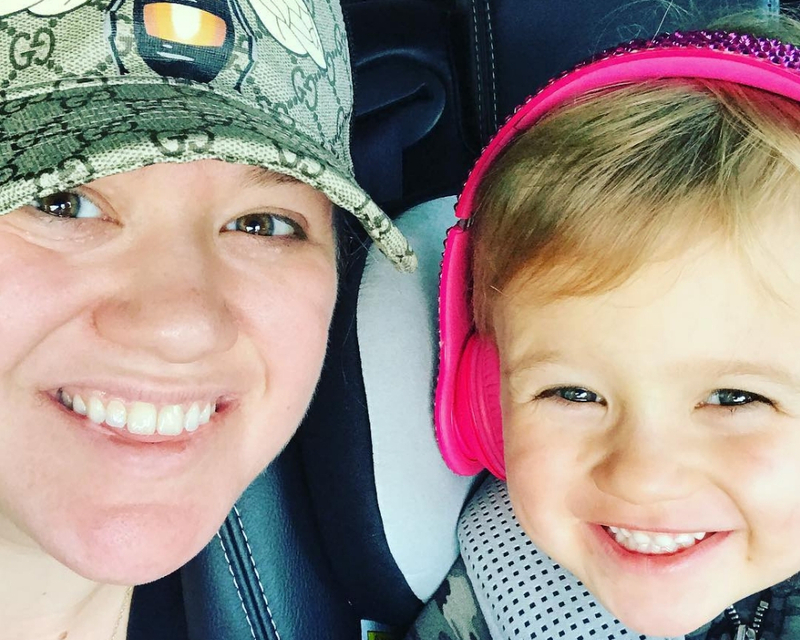 Now Kelly is a mother to the adorable River Rose and she’s modeling excellent behavior for her daughter by posting a no makeup selfie to Instagram. Makeup is lovely, but sometimes you’d rather spend time goofing around with your kid than trying to get your eyeliner wings perfectly symmetrical. 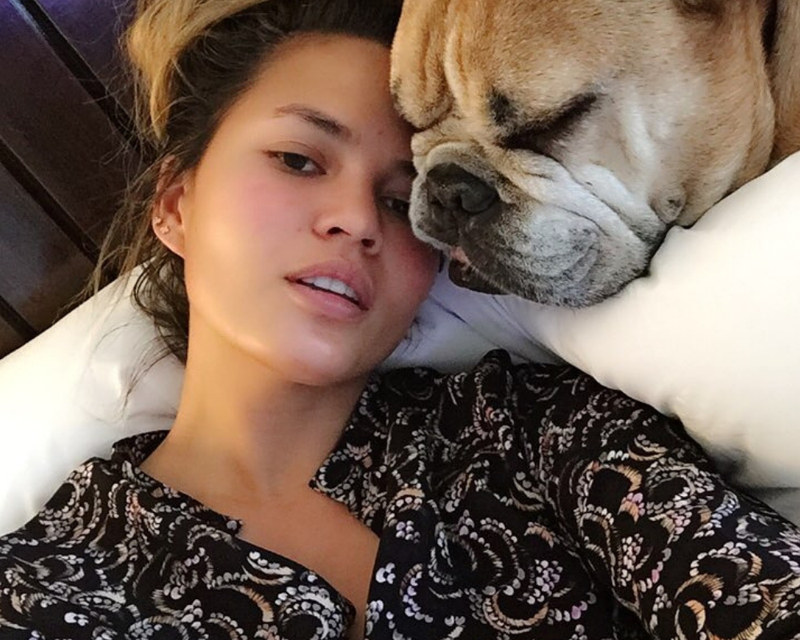 Chrissy Teigen is a busy lady. When she’s not busy being the queen of Instagram, she’s busy taking care of her two adorable children. By the end of the day, she’s just ready to close her eyes and fall asleep. I bet she just wants to get out of that heavy makeup as fast as possible. Chrissy looks fantastic in this photo. She obviously doesn’t need makeup to look like a radiant (though tired) mamma bear. Cindy Crawford shared this gym selfie on Instagram to prove that everyone needs to put in the work if they want to get fit and healthy. Also, even though Cindy Crawford looks like a supermodel all the time, she doesn’t look like she does on the cover of magazines all the time. Let’s chalk that level of glam up to lighting, angles, and a whole lot of setting powder. It’s okay to be less than perfect. Lady Gaga is definitely a performer who knows how to do full glam right. She loves playing with colors and styles and textures, and she always surprises us with her bold fashion and makeup choices. You can love makeup and still have wonderful no makeup days. 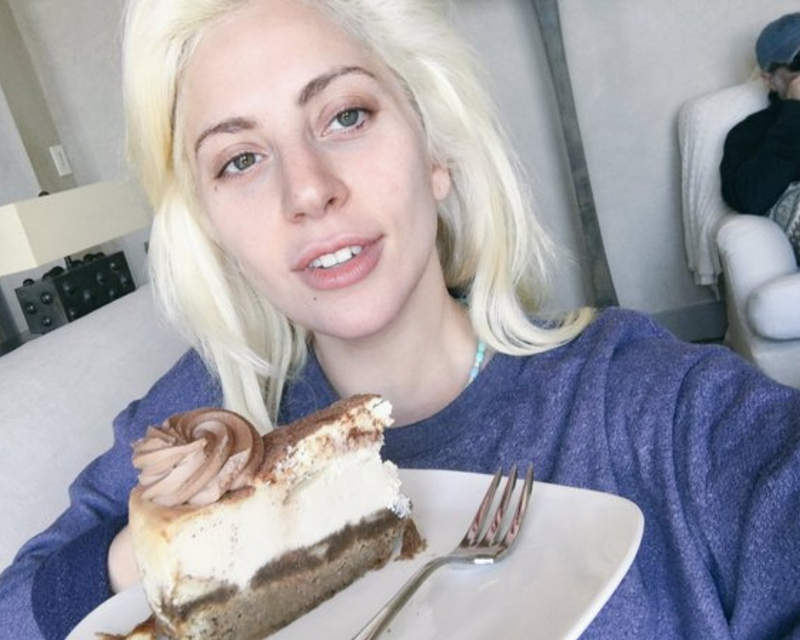 Lady Gaga looks a little tired in this photo, but she also looks like she’s having her cake and eating it too. Seriously though, that cake looks delicious. I kind of want some. Somebody, please explain to me how Sharon Stone looks this good. The woman is sixty years old, for crying out loud! A don’t even look this good with a full face of makeup. I love her little dog’s face poking out from between her elbows. Sharon Stone is too good for us. We honestly don’t deserve her. How does she not have any wrinkles? The dog has way more wrinkles than she does. 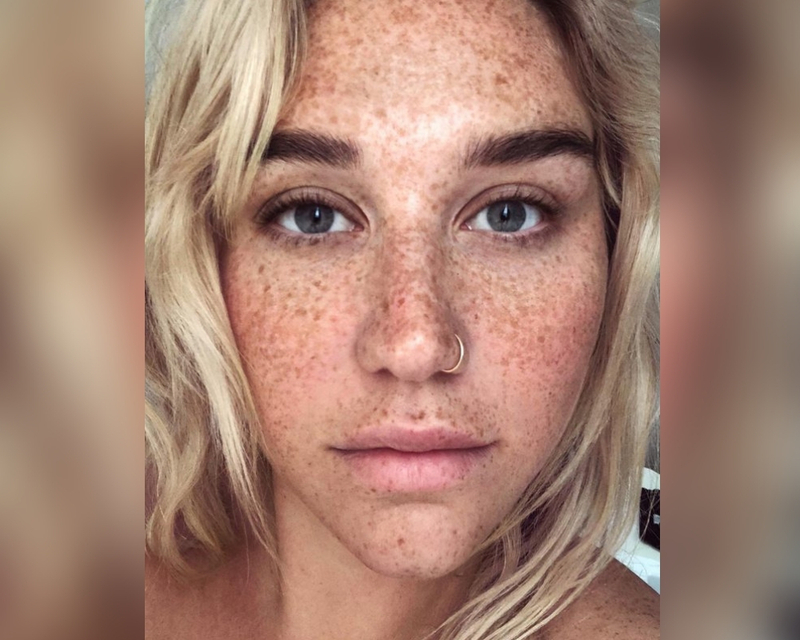 Who knew that Kesha had freckles? I certainly didn’t. I don’t think Kesha should ever wear foundation again. I mean, look at her skin? Could it get any more flawless? I don’t think so. I’m also obsessed with Kesha’s eyebrows. Are you telling me that she didn’t fill them in even a little bit, because I would seriously like to pluck them off her face and put them on my own forehead. Is that creepy? Probably. Tyra Banks is all about keeping the fashion industry real. Her show, America’s Next Top Model, opened our eyes to what models really look like when they’re not in full hair and makeup. The magic of makeup is real, people. 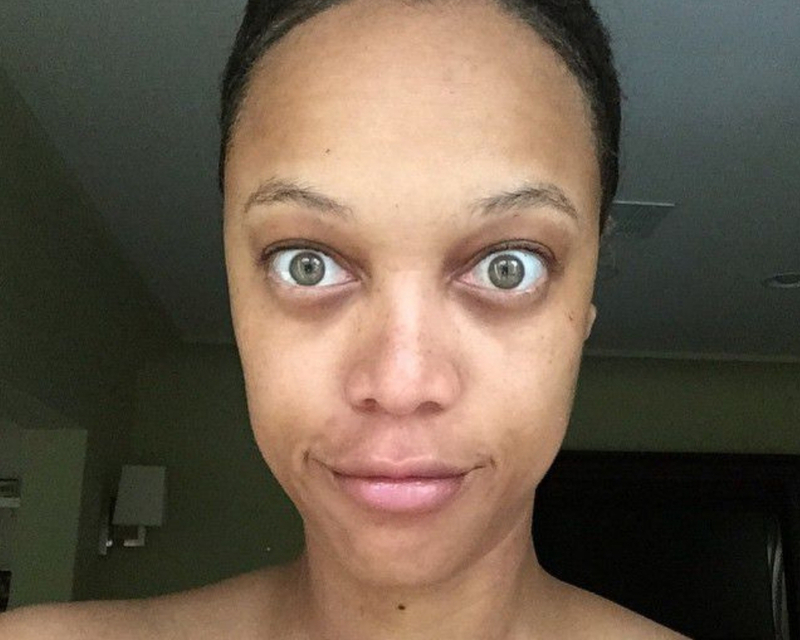 Tyra is a beautiful woman, but she also looks like this sometimes. You don’t have to be full glam all the time to be beautiful. It’s truly what’s on the inside that counts. Kaitlyin Bristowe is one of the most gorgeous bachelorettes The Bachelor franchise has ever seen. This girl looks great without a stitch of makeup on her face. Yeah, she looks blotchy and tired, but she still looks like a million bucks. Kaitlyn recently split from her fiancé, Shawn Booth, the man she gave her final rose to on her season of The Bachelorette. It didn’t work out for Kaitlyn and Shawn, but I have a feeling that this girl has a bright future ahead of her. So Kylie Jenner may not be wearing any makeup in this photo, but she definitely has eyelash extensions, lip fillers, and maybe some micro-bladed eyebrows. I wouldn’t call this “au naturel” but it definitely is a beautiful picture. Kylie looks so serene in this shot. I wish I could wake up looking like this every day. How do you guys feel about eyelash extensions? Too much or the perfect “I woke up like this” accessory? When Gigi initially posted this picture on Instagram, she got a lot of comments about how beautiful she looks in it, but she also got a few hate comments. Some haters were saying that she doesn’t look that special without makeup on. Well, all those haters can just back right off, because there’s no way that Gigi Hadid isn’t special. Everyone’s special in their own way, right? Gigi looks like a perfect angel and her skin tone is absolutely stunning. Alright, Katie Holmes, I see what you did there. An overexposed no makeup selfie is kind of like a no-makeup selfie with a Snapchat filter over it. Yeah, she’s technically not wearing any makeup, but her face is so washed out that she might as well be airbrushed. That’s alright, Katie, we forgive you. 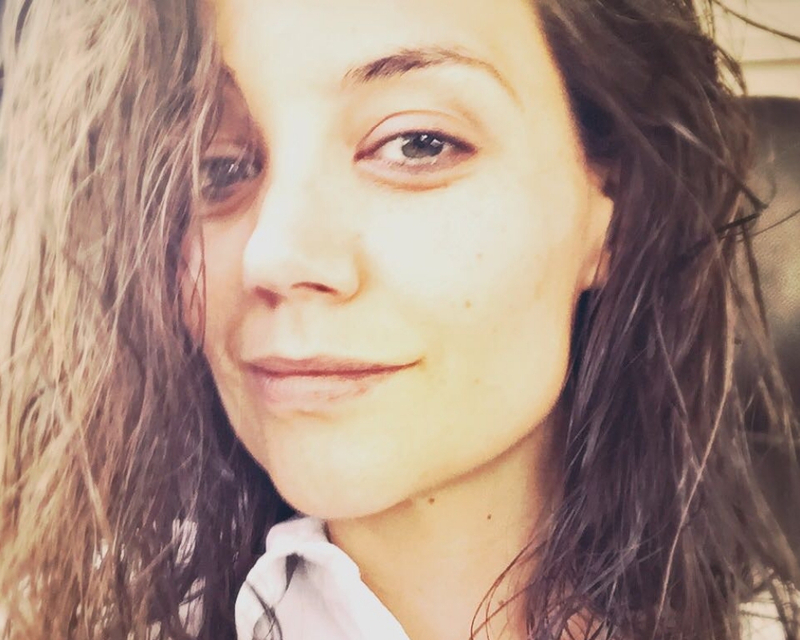 I’m sure Katie Holmes looks like a goddess with and without makeup. I hope she posts some more no-makeup selfies in the very near future. Do you wish that you looked this good barefaced on the beach? Because I definitely do. How are her lips the perfect shade of pink and she doesn’t even have any lip tint on? Roll around in the sand, why don’t you Nicole. Really get dirty and mess your hair up and then let’s see if you’re still naturally beautiful. 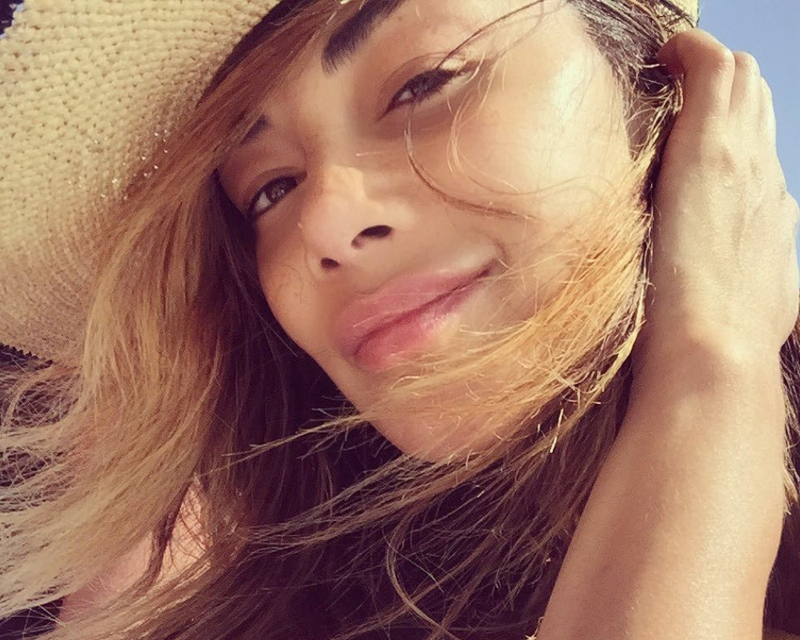 Who am I kidding, Nicole Scherzinger could never look like a troll even if she tried. Alright, Sofia, this picture is a little bit overexposed, but it’s not as bad as Katie’s so I’m going to give you a pass. I wonder if Sofia actually got into the pool after she took this photo. Well, whether she’s on dry land or submerged in chlorinated water, Sofia Vergara still looks like a trophy wife. Sofia is funny as heck, and she’s beautiful, which really isn’t fair. She can’t have everything. 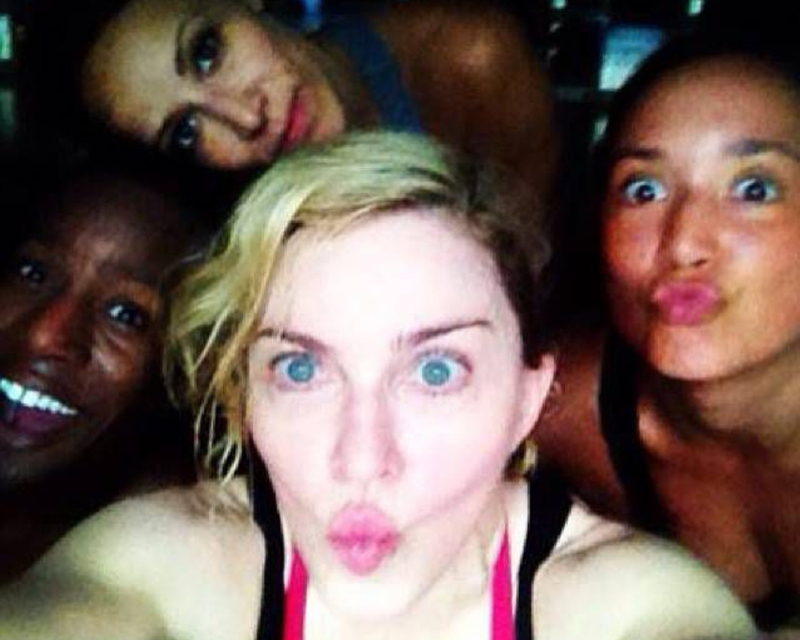 Here is a picture that Madonna posted to Instagram of her and her entourage slaying a soul cycle class. Even pop sensations need to workout sometimes (and by sometimes I mean very often— have you seen Madonna’s muscles?). Madonna’s serving us some classic duckface, which maybe isn’t her best look, but I’m not that mad about it. She’s Madonna. She can make whatever face she wants. If I looked like Madonna without makeup I’d never wear foundation again. Even Victoria’s Secret models get sick sometimes. 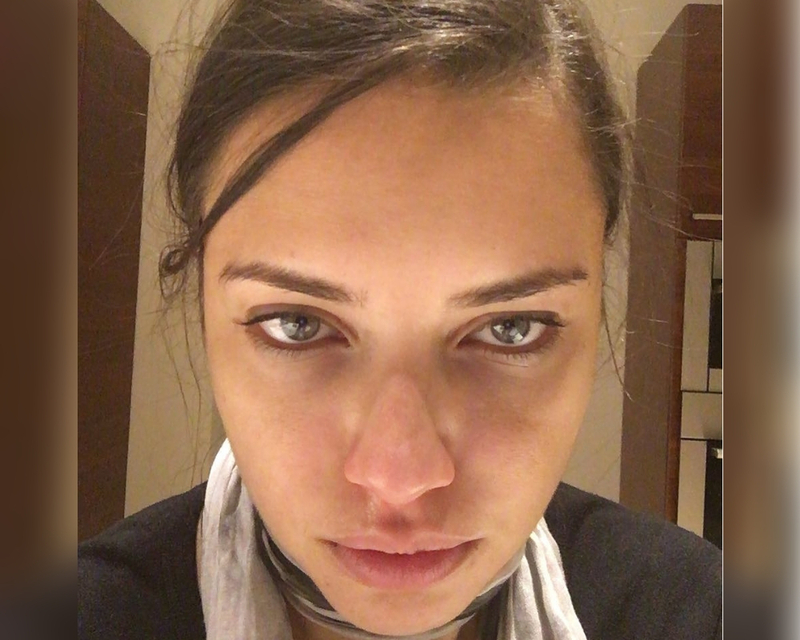 Adriana Lima shared this picture to Instagram after she worked just a little too hard and picked up just a little bit of a cold. I think Adriana Lima with a cold still looks better than me on a good day, but that’s neither here nor there. Adriana looks like a goddess 99.9% of the time. If she get’s a little sniffly sometimes, well, that’s just what being human is about. When January Jones was playing Betty Draper on Mad Men she was all glammed up all the time. Betty Draper would never be caught dead without a full face of makeup on. She certainly wouldn’t post a #nomakeup selfie if Instagram existed in the ’60s. January isn’t Betty Draper, though. January embraces her natural beauty. Also, she has a whole lot of natural beauty to embrace. Her face is too pure for this world. Bella seems to be following in her sister’s footsteps and sharing her own #nomakeup selfies to Instagram. I find it hard to believe that Bella’s skin is that flawless. She must be using a filter or something. How does it look like she’s perfectly contoured when she’s not using any contouring products? Something just doesn’t add up. Somebody is putting something in the water over at the Hadid’s house, and whatever it is, I’d like some please. 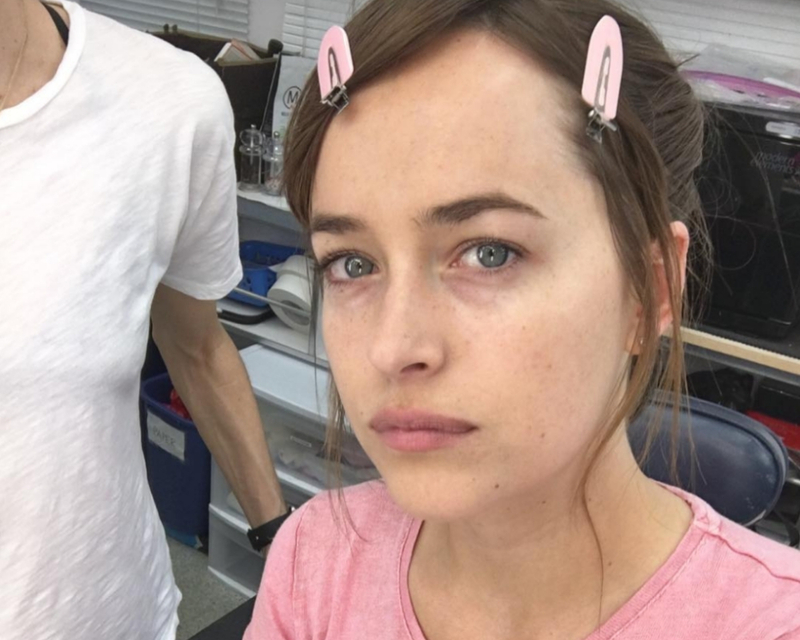 This is a picture of Dakota Johnson getting ready for some big event or movie role. She looks amazing even though she doesn’t have any makeup on yet. Her eyebrows are full, her face is smooth and even, her lips look fantastic— is this real life? I like those pink clips in her hair. They’re very Hollywood chic. Dakota Johnson is clearly a natural beauty. Do you think she’s ever had her lips done, or have they always looked like that? Somebody needs to pull Salma Hayek away from her camera before she blinds us all with her natural beauty. Do you think she just stepped out of her shower and snapped this picture on the fly? Because nobody is this gorgeous all the time. We get it Salma, you look good without makeup. When I decide that I don’t want to wear makeup, it’s mostly because I know I’m not going to be seeing anybody that day. 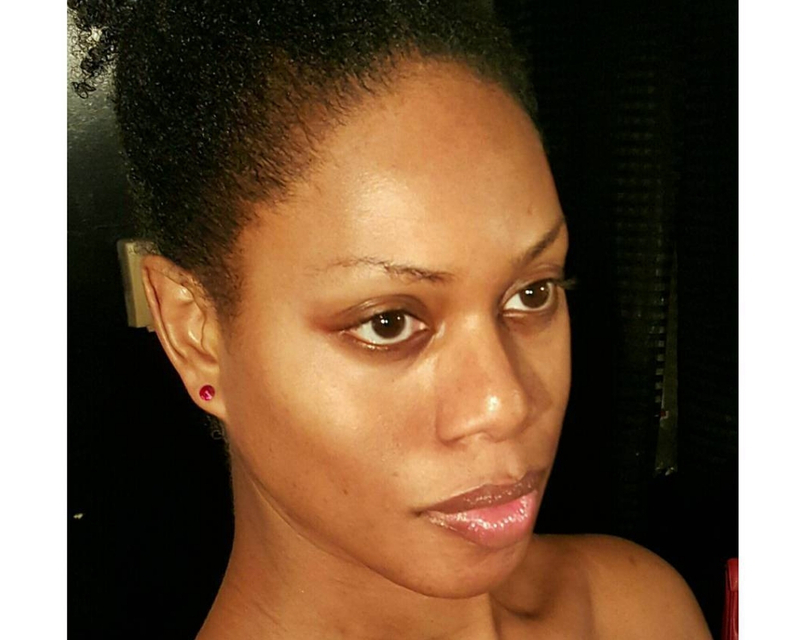 Laverne Cox, if you wouldn’t mind sharing your skin care routine with the rest of the world, that would be very much appreciated. I think she’s probably wearing some lip gloss in this photo, but other than that she seems to be entirely makeup free. How is there not a single blemish on this woman’s face? How does she look like this without a drop of concealer? This is what my face looks like after I’ve applied a nice base layer of primer and foundation. Karlie Kloss is a supermodel for a reason. She’s one of the most attractive women on the planet with or without makeup. Karlie shared this picture to Instagram to show that she’s just a normal girl chilling in a hoodie with no makeup, but I think this just shows how much her natural beauty shines through. You can’t hide perfect cheekbones, honey. You can contour all you want, but you’ll never get Karlie Kloss’ bone structure. Lorde was pretty young when she first burst into the music scene. Even at the age of fifteen, Lorde knew that she didn’t want to be another cookie cutter pop star. She had her own style and she wanted to be in control of her own image. We’ve seen Lorde with her dark lipstick and bold eyebrows, but this stripped back version of Lorde is as unique, beautiful, and refreshing as her music. Zendaya is another young star who’s used social media to take control of her image. 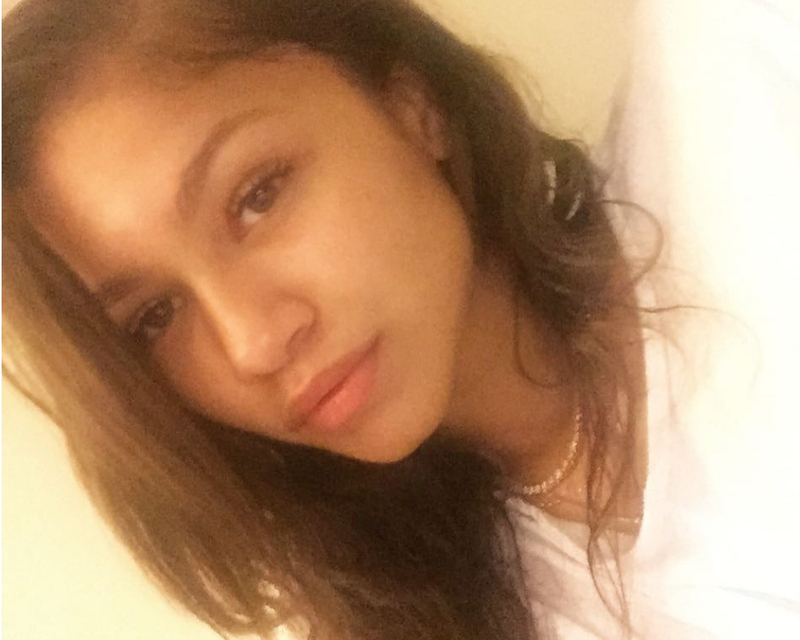 Zendaya looks beautiful on every red carpet, but she also looks gorgeous in this chill no makeup selfie. With or without makeup, there’s no denying that Zendaya is a superstar. This girl can sing, dance, and act, and do a flying trapeze act, apparently. I have a feeling we’re going to be seeing a lot more of her in the future. Jennifer Lopez is one of the hardest working women in the entertainment industry. She’s solidified herself as a top performing artist and an actress. At one point J.Lo’s album was at number one on the Billboard charts at the same time her film was number one in the box office. She’s still the only female to do it, and this woman isn’t slowing down. Jennifer is often spotted working out with beau Alex Rodriguez, and this #nomakeup selfie looks like she has that post-workout glow. There are two main categories that most #nomakeup selfies fall into. The first category is when you’re exercising, or at the beach. 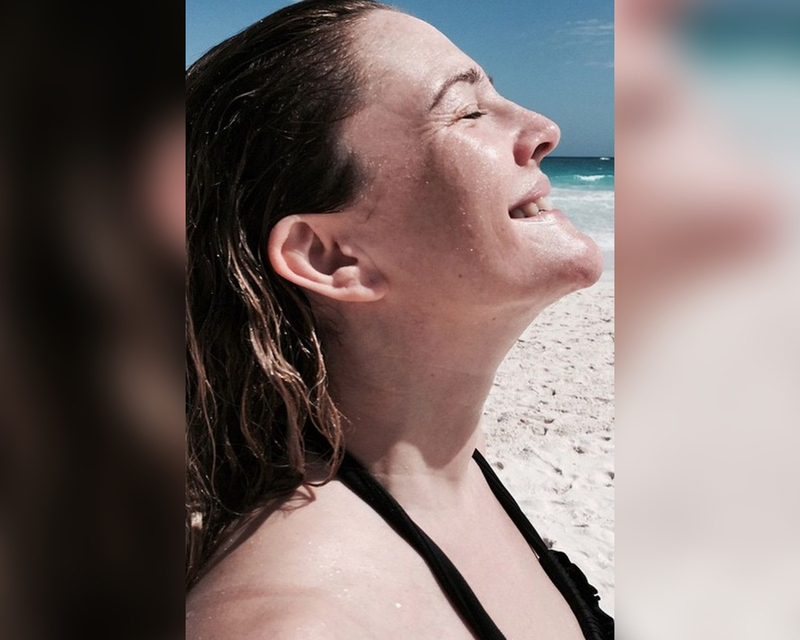 Cindy Crawford’s first #nomakeup selfie falls into this category. The second selfie that most #nomakeup pics fall into is when you’re in bed and just woke up. Cindy decided that she’d go ahead and share one of the latter with the world too. She captioned the photo “recovery mode” which is something we can all relate to. Actress and mom of three, Jennifer Garner keeps active and busy and is always looking healthy and full of energy. Even when she’s glammed up for the red carpet, Jennifer keeps her look on the natural side, which we love. She’s also not afraid to snap a #nomakeup selfie, whether she’s around the house or poking fun at herself. Jennifer was late to the game of Instagram, but we’re so glad she came. It’s not often that we get to see hip hop artist Cardi B without makeup, okurrr? It seems like Cardi is just about everywhere you look these days- from the Super Bowl halftime commercial to talk shows and making headlines with her on-again-off-again beau Offset. Cardi likes to stun, likes to shine, and so she’s usually dressed to the nines from her hair to her makeup, outfit, shoes, and nails. Cardi looks gorgeous naturally, too. Jessica Alba is all about the natural look. This organic actress and mom of three has her own makeup line made with natural ingredients called Honest. She likes to incorporate the letter ‘H’ into everything in her life. The actress named her three children Honor, Haven, and Hayes. 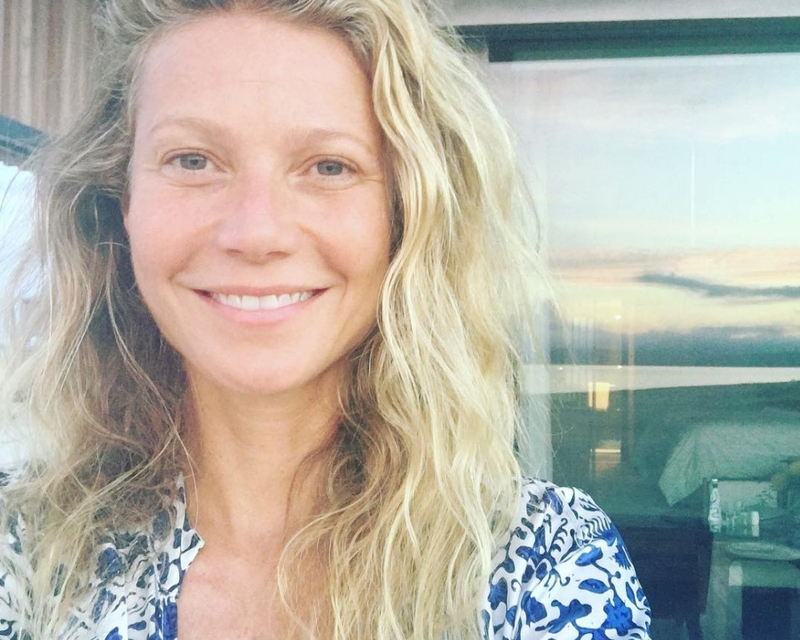 Named the Most Beautiful and Hottest on multiple lists over her career, Jessica isn’t afraid to post a #nomakeup selfie either. She’s a fabulous role model for her two daughters, as well as all girls and women. We’ve loved Gabrielle Union-Wade for as long as she’s been in the spotlight, which is going on 25 years! The gorgeous actress never ceases to amaze us with her youthful health and amazing energy. Married to NBA player Dwayne Wade, Gabrielle’s family continues to grow and she loves to share her happiness with the world. Gabrielle has always been an open book to her fans, and shares her life stories, both the good and the bad. 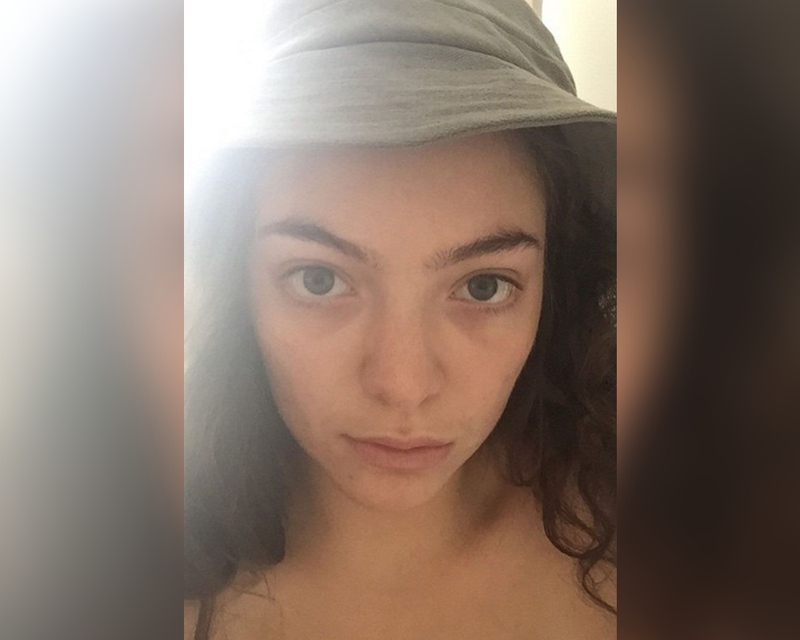 She’s another actress who has no shame in her #nomakeup selfie game. Most of us know Canadian Kaitlyn Bristowe from the nineteenth season of The Bachelor and the star of the eleventh season of The Bachelorette. If you follow her Instagram account, you know that this woman lives out loud. She explores, she boxes, she hits golfballs and hits the town. She can rock a bold red lip, and she’s also not afraid to share her #nomakeup selfies on a lazy day lounging around the house. Britney Spears needs to introduction- can you believe how many top celebs are sharing these #nomakeup selfies? Before the days of Instagram, it was rare that we’d ever catch a glimpse of a star as big as Britney without any makeup. Maybe it would slip through the cracks in some behind the scenes footage, but rarely out there for everyone to see. Now that celebs can share their personal photos with the click of a button, we’re seeing them for who they are outside of the spotlight. Here’s a backyard snap from Brit on a #nomakeupmonday. Wild child Julianne Hough is a two-time professional champion on Dancing With The Stars and has more energy than three average humans put together. She’s won awards for her choreography and loves to share hilarious videos of her goofing off behind the scenes. 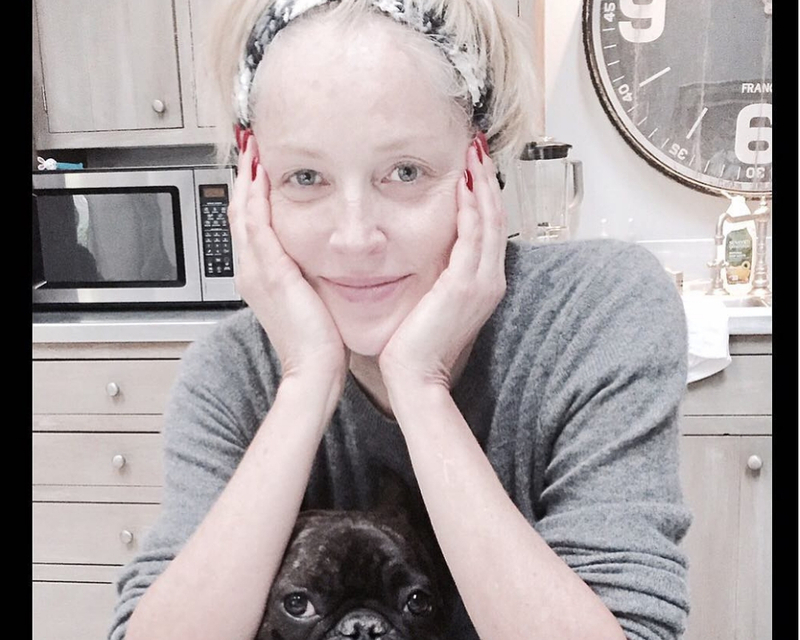 On her Instagram, Julianne seeks to inspire her fans with playful pics and some uplifting advice. Here she posts a casual #nomakeup selfie while hanging out around the house. We’ve watched Hilary Duff grow up in the spotlight since her Disney days and she’s made the transformation into a strong woman and mom of two. Fast forward since Lizzie McGuire and Hilary is a full-blown actress, singer, songwriter and author. She’s also paved the way for other major stars like Miley Cyrus, Demi Lovato and Selena Gomez. Aside from her career, Hilary is an activist and philanthropist and aims to make this world a better place.